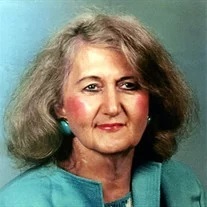 Peggy Ann Ramsey Stephens, 83, of Cleveland, passed away on Wednesday, January 16, 2019 in a local health care facility. Peggy was a graduate of Polk County High School class of 1953, where she served as president of the Student Council and had the honor of being voted best dressed. She was a member of Cleveland First Baptist Church, was a self-employed cosmetologist and also worked for many years at Morrison’s Cafeteria at Bradley Square Mall. Peggy was preceded in death by her father, Johnny Ramsey, and mother, Wilma Snyder Ramsey. Survivors include her son, Dennis (Gay) Ramsey Stephens; daughter, Cynthia Ann Stephens (Lonnie) Rogers; grandchildren, Kevin (Summer) Stephens, Kara Stephens, Justin Stephens, Lindsay (Steven) Ryan and Laura (Geoffrey) Oliver; great-grandchildren, Tori and Keely Stephens, Katelyn and Kyler Stephens, Carter and Charlie Ryan and Brenden Oliver; and great-great-grandchildren, Julia & Kaden Stephens. Funeral services will be held Friday, Jan. 18 at 11:30 a.m. at Shiloh Baptist Church, 368 US-64, Ocoee, Tn. 37361, with Rev. Eddie Cantrell officiating. Interment will follow in the church cemetery. The family will receive friends at the church from 10 a.m. until the service hour on Friday. Arrangements are by Ryan Funeral Home, Trenton.